Hair loss can be an upsetting and unpleasant experience for many men. Having a full head of hair is often associated with strong masculinity and an attractive aesthetic, which is why thinning hair can have damaging effects on a man’s self-esteem. Hair restoration is a cosmetic procedure that involves moving active, healthy hair follicles to areas with little to no hair growth. This treatment can revitalize a patient’s appearance and improve his confidence. This outpatient procedure is performed using local anesthesia to ensure patient comfort. Oral sedation is offered for a more relaxing experience. Involves removing a thin strip of follicles from the posterior scalp and transplanting the follicles in thinning areas. FUT is ideal for patients who have experienced moderate to severe hair loss. This procedure is performed utilizing a local anesthetic as an outpatient treatment. Oral sedation is offered for a more relaxing experience. Involves removing individual follicles for inconspicuous hair grafting. FUE is ideal for patients who have experienced mild to moderate hair loss and have short hair. This technique leaves no scars on the donor site. The best candidates for male hair restoration suffer from androgenic hair loss (known as male pattern baldness) and have enough active hair to move to the thinning or bald areas. For a successful hair graft, the donor area should be full of healthy hair that is not in the process of falling out. During your initial consultation with Dr. Palladino, he will assess your condition and determine if you qualify for male hair restoration treatment and develop a personalized approach for your concerns. This appointment will also be the best opportunity to discuss your health history and your cosmetic objectives, which will be considered when devising your unique treatment plan. If male hair restoration is appropriate for your needs, Dr. Palladino will provide you with detailed preoperative directions to prepare you for the procedure. Male hair restoration patients must not use tobacco products for at least two weeks before and after treatment to ensure optimal healing. Is always recommended to have someone drive you to and from the facility on the day of your appointment. What is recovery like after male hair restoration? During the initial stage of recovery after male hair restoration, bandages must be worn over the treated area. Patients can expect some tenderness, but pain can be managed with prescription pain medication. Most patients can return to work and their daily activities within three to five days. Following all aftercare instructions will help ensure that recovery goes as quickly and comfortably as possible. What will my male hair restoration procedure cost? The price of your treatment depends on various factors, including the desired extent of correction, facility fees, anesthesia, surgical fees, and geographical location. The cost of male hair restoration ranges from $3,000 to $15,000, but an exact price will be calculated for you during your consultation appointment. Does male hair restoration produce natural-looking results? 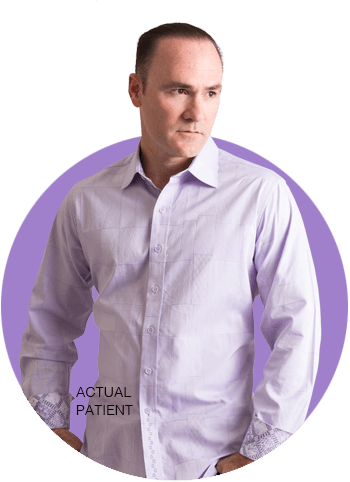 When performed with meticulous precision utilizing advanced techniques, male hair restoration can deliver conservative improvement. 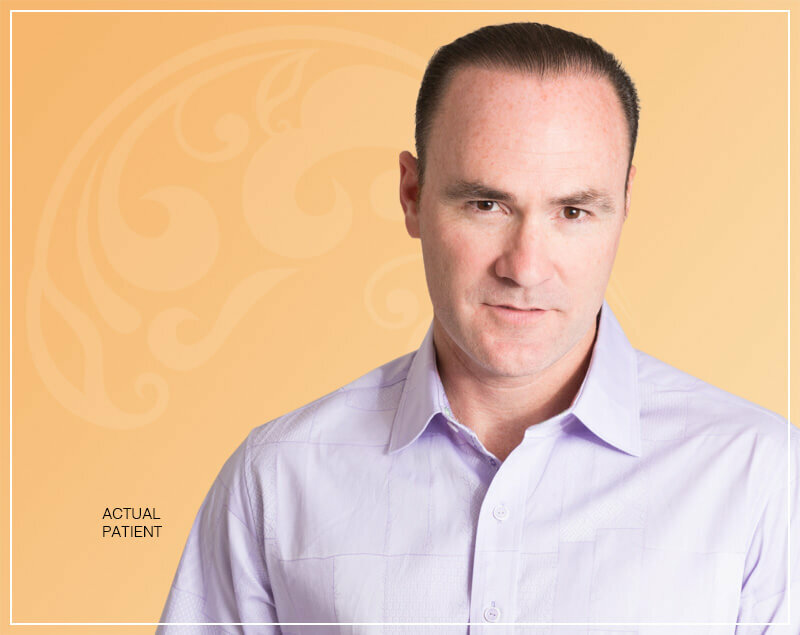 Dr. Palladino possesses extensive experience performing male hair restoration and is careful to produce the natural-looking results you desire. What areas are amenable for hair transplantation? Besides the scalp, other areas commonly addressed with hair transplantation include the beard, mustache, sideburns, and brows. This technique addresses irregular hair distribution as well as covering and camouflaging scars in these areas. Male hair restoration results are considered long lasting to permanent. Dr. Palladino will be able to give you more information regarding the typical graft success rate during your consultation. For more information about Male Hair Restoration, please contact board-certified plastic surgeon Dr. Humberto Palladino. Dr. Palladino would be pleased to meet with you to discuss your cosmetic goals and come up with a plan to achieve them. Please contact us at (866) 624-7874 or schedule a one-on-one consultation.